Growth form: Perennial herb. Flowering. Sep–Oct. Status: Native. Local. Also recorded: Bahrain, Kuwait, E Saudi Arabia, UAE. Habitat & distribution: Recorded by Batanouny from saltmarsh at Al Khor and Abu Sara Abdul Majidrah. 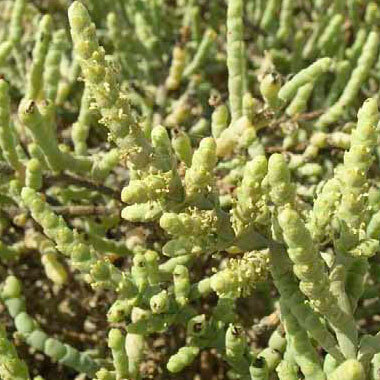 Uses: Cornes & Cornes report that the plant is intensively grazed by camels in sabkha areas and also by gazelles; Mandaville (citing an earlier author) mentions a herdsmen’s belief that overfeeding on this plant is a cause of lung disease in camels.